People naturally pack for any kind of holiday in one of two ways: under or over. They either throw in the first things that come to mind forgetting many of the obvious and less obvious essentials; or they throw in everything they can think of, quickly swelling the size of their baggage to impractical dimensions and weight. 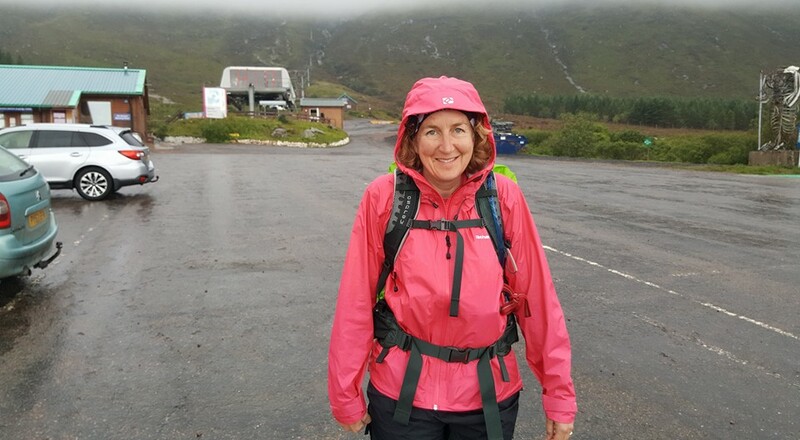 For a walking holiday especially, hitting that right balance between comfort and practicality is of huge importance and shouldn’t be undertaken without some guidance. Even if you hit the right mark yourself, it can’t hurt to have the extra confidence of a second opinion. If you’re using a tour provider that includes the shuttling of your night gear from one point to the next you have a great advantage. You’ll be able to pack more things, and heavier things, and not have to worry about lugging them over the trails. If you choose to carry your own gear you’ll need to pare it down to the bare safe minimum in order to have the room and carrying capacity to haul it all with you. Let’s assume for now that you’re using a shuttle service for your gear. You’ll have two sets of luggage then: the day pack, and the night pack. The day pack has a few distinct attributes. First, it should be small enough and light enough that it can be carried comfortably throughout the day. Second, it should have everything in it that you might need – in normal and emergency circumstances – from the time you leave base in the morning, to the time you reach the next one in the afternoon or evening. For some of the necessary items, the burden can be shared among the group, rather than each person duplicating the item. There is no need for each person to carry their own sunscreen, for example, or first aid items, or a map. Consider which items you are happy to share among your group, and distribute them according to the physical ability of each person. In most cases, important items can be brought along with no discernible increase in effort. We’ll go into this in a bit more detail below, but for now let’s consider the daypack itself, and what you’ll want to put into it. The day pack, sometimes called a ‘day sack,’ should be a good fit for you. Quality packs come in different sizes, mainly to accommodate the height of the person wearing them, in order to maximise comfort and minimise strain on the back and shoulders. The lighter your pack is, the more comfortable it will be regardless of size, but don’t underestimate the difference between wearing a pack around town for a half an hour here and there, and wearing one on a prolonged walk over varying terrain. Take the time to find the right fit. A good shop will help you. Whichever size you need, the pack should have a capacity of up to 30 litres. Depending on your conditions and personal preferences, as little as 20 litres might do. It might be worth gathering up everything you plan to put in it, even before you go shopping for the pack. You can then shop with a clearer idea of what you’re looking for. Stuffing your gear into a 30-litre bin bag is a great way to determine your volume needs. Remember, it’s always good to have a little extra space in there, but not too much – you don’t want your belongings shifting around or bouncing while you walk. We also recommend getting one with plenty of external pockets with zips and/or mesh; you’ll be thankful you have them. Once you have the pack, and you’re stowing your gear, make sure to use the external pockets for small things you might need while on the move or during short breaks. Know where things are, especially important things, by putting them in same place every time. You should be able to say ‘this is my snack pocket’ or ‘this is my sunscreen pocket’ or ‘this is where I keep my emergency torch.’ Not only does this help to locate things quickly when you need them, but you’ll always know at a glance if you’ve remembered everything when packing up from a break or overnight stop. Within the main compartment of the pack, you may want to separate items using large Ziploc bags. Not only will this keep things organised but it can keep dry items dry or isolate wet ones if you’re stowing a soaked item after a shower or water crossing. With your bag chosen and ready it’s time to pack. We recommend you choose gear with the following categories in mind: safety, weather, environment, fun and memories. Some of this you’ll need every time. Some we hope you’ll never need – but it’s always a good idea to prepare for the unexpected. For most walks, you’ll need to bring your own water with you. For the average adult, we recommend you carry around 2 litres in a refillable, preferably collapsible container. It’s convenient to have a smaller container at hand too. Drink regular, small amounts as you walk, and avoid drinking large amounts at wider intervals. The latter can cause fluids to move through your system more quickly, meaning that you are carrying more water than you need to, and require more frequent stops to eliminate it from your body. 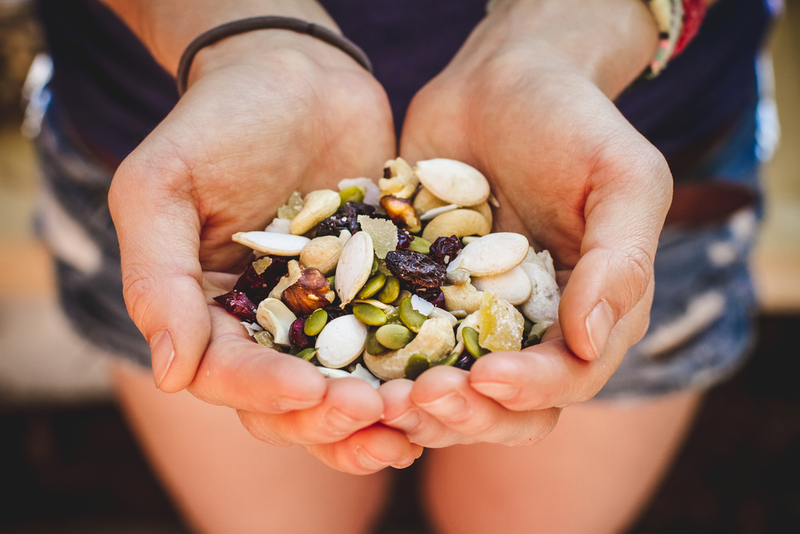 Always include a quick energy snack, like trail mix or jerky, that you keep on hand in case of a drop in energy levels. Because this generally happens nearer to the end of the day, this should be a snack in addition to what you plan to eat, and is often untouched by the end of the day – ready for emergency caloric needs. Yes, this could go in the clothing category too, but we put it here because the importance of quality footwear, well suited to you and to the conditions in which you plan to walk, is a safety concern as well. Your feet are your transport when on a walking holiday, and the development of blisters, or ankle pain, can make for a long, painful day. Footwear-related falls and injuries can even turn a great trip into a very unpleasant experience in a mere moment. Talk to an outdoor footwear specialist at your local camping and hiking shop, and invest in the right footwear to keep you safe and comfortable. Bring both sunscreen, and some kind of soothing cream in case of sunburn. This is an item that can be shared among a group. There is no need for multiple containers – just make sure that there is enough for everyone to apply and reapply as needed. Don’t forget that the sun is out in cooler weather too and sunscreen protection is recommended year-round. In addition to the creams a brimmed hat will keep the rays from your skin and will help to regulate your temperature as well. It will keep you cool in sunny weather and warmer in cool winds or rain. Sunglasses are another must-have when walking. Consider the terrain and whether or not you should invest in a sport-style pair that wraps around your head. These not only stay on better when you’re looking down for the best foot or pole placement, they also protect from sunlight coming in from the side, which reduces eye strain on bright days. 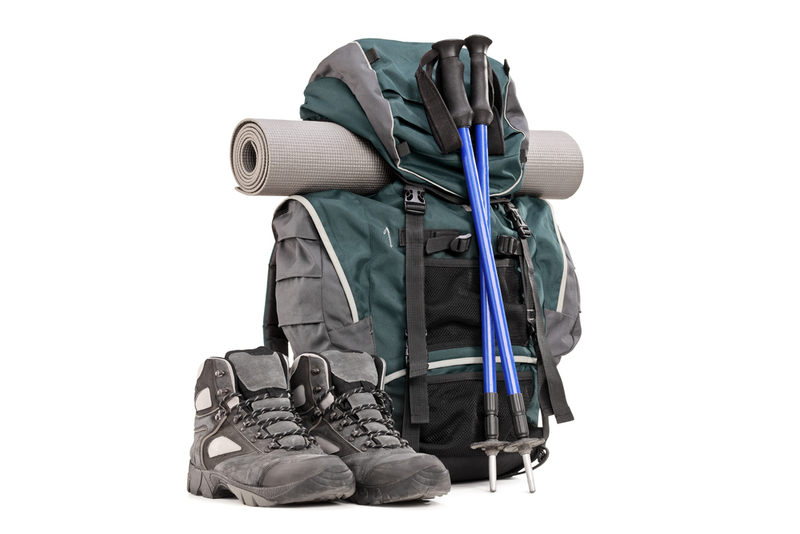 Another item that crosses between categories is the hiking pole. These serve to make hiking more comfortable and reduce knee and ankle strain, but they also help keep you safe from some falls. In first aid situations, they also serve as excellent splints when immobilising arms or legs after injury. Your group should also make sure to bring basic first aid items along. Again, this is a great category to share out among a few people – but make sure everyone knows where these items are and can get to them fairly quickly. Your kit should include alcohol wipes, a variety of plasters, some kind of antihistamine (for bites and stings), painkillers, hand sanitiser, hard candy, a sling (both for arm and shoulder injuries and for use as splint ties), a tensor bandage, muscle rub, tablets for indigestion or heartburn, and any specialist items needed by your group, such as epipens or insulin. Unless you are a skilled first aider, you might want to include a small book (or PDF on your phone) on how to use these items. Don’t rely on internet availability, as you may be in an area with poor coverage. You may also want to include a small torch, a whistle, a space blanket and mosquito repellent. If you are bringing repellent, remember that the rub-on liquid or oil form is smaller than spray, and therefore lighter to carry. You may want to keep your phone off, for battery life and enjoyment reasons, but it is a very useful tool for emergency calling and GPS location. Even the extra light is handy. 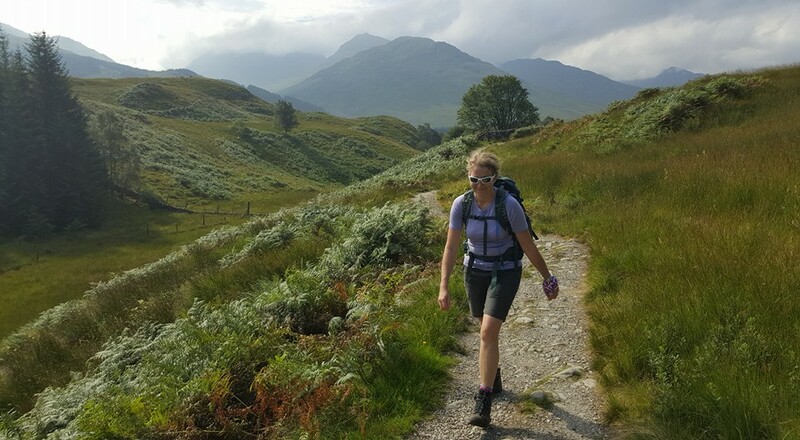 Many walkers bring an extra battery, or take turns having their phones on for navigation and distance tracking, while keeping other phones powered down in reserve. The last safety item you may want to bring is a map. We recommend a small paper map, or pdf version on your phone, as you may not be able to get a good signal in some areas. The best way to prepare for variances in the weather is to dress in layers. Each layer should be a breathable, wicking fabric that works in cooperation with the other layers to keep you dry and comfortable. 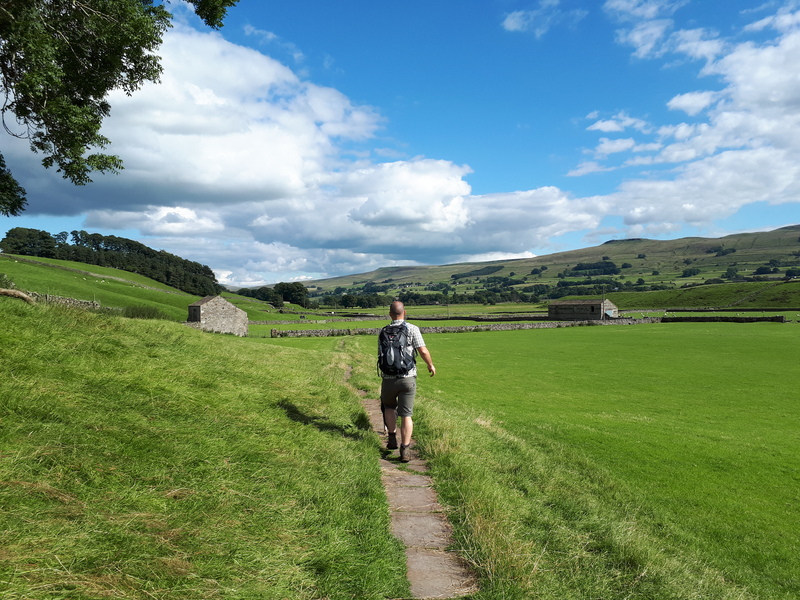 We recommend an extra set of clothing (socks, underwear, shirt and trousers) be carried in the day pack in case of accidental falls into water, or to change into after a rain shower. Trousers that convert into shorts are a great way to maximise versatility while keeping weight and volume low. 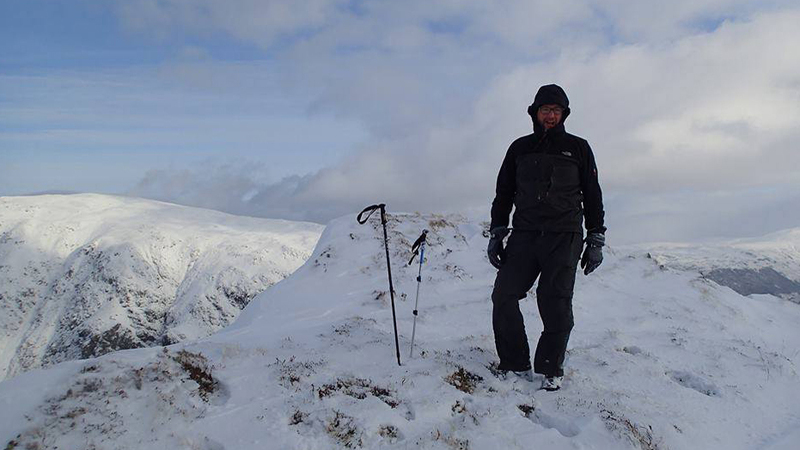 We recommend that you also wear or pack a suitable fleece jacket – fleece bottoms may also be useful, if you are walking in a colder environment. Fleece comes in a variety of ‘weights,’ meaning that some garments are quite thin and others very thick. Discuss your preferences and walking environment with your outdoor shop specialist or tour provider to make sure you choose a suitable item. Your rain gear should include a jacket and, in some environments, trousers that can keep your base and outer layers dry in case of a sudden downpour, or a long drizzle. Ideally these items should be made of quick-dry material, so they can dry out overnight and be packed again in the morning without mouldering in your pack during the day. Your sun hat will likely double as a rain hat, so keep that in mind when choosing one. A word of caution though: avoid jackets that are not breathable, as they will retain your sweat, soaking you from within. Choose rain gear with proper vents and a structure that works with your under-layers. Depending where you are walking, you may have additional environmental considerations – such as a small shovel to bury solid waste – but for every walking holiday there are some normal environmental practices that should be observed. Bring a waste bag for wrappers and other packaging; you don’t want to leave it as litter, and it’s never nice to scrape around in the bottom of a pack at the end of the day, gathering up greasy plastic or scattered crumbs. Designate a good-sized Ziploc as the bin bag. This is another burden that can be shared out among a group. It’s not all business when it comes to packing for a walking tour; you’re there to have fun. Sometimes the walk itself is enough, but some people prefer to bring along an extra item or two that suits their idea of a great day in the outdoors. You may want to include a journal or sketch pad. Some bring photography equipment. If there is a way to make your day more enjoyable, and you don’t mind carrying the extra gear, go for it. After all, it’s your holiday. Since you’ll be having your night pack shuttled from one point to another, there are far fewer restrictions on the container itself, and on what it can carry. You could even use a traditional suitcase. Despite the lack of restrictions, we recommend either a hiking-style backpack, or a duffel bag. These are easy to pack, easy for the tour provider to pick in and out of a van and stack up. Obviously, if you are bringing anything breakable – like a laptop – then you’ll want to ensure that there is a protective layer around it – these types of containers aren’t made to keep contents safe from impacts. Assuming you won’t have access to laundry facilities, pack a full set of base clothing (underwear, socks, shirt) for each day. In addition to this, an extra set of trousers and/or shorts is a good idea. Many recommend you take twice as many pair of underwear and socks as you think you’ll need. We think this is a bit over the mark but it definitely doesn’t hurt to bring along a few. It feels very good to peel off the layers after a long day, take a shower, and pull on fresh, dry clothing from the night pack… you don’t want to run low on fresh ones. Anything quick-dry is beneficial. Look for wool or technical fabrics that are made for hiking. Not only do they recover quickly from accidental soaking, they can be quickly washed in a sink or tub and set out to dry overnight. This means fewer items to buy, fewer to pack, and an overall increase in gear efficiency. We also recommend a comfy pair of slippers or moccasin-style shoes for evening use. This gives your feet a varied experience – which feels great – and it also gives your daytime footwear time to dry out for a fresher start the next morning. 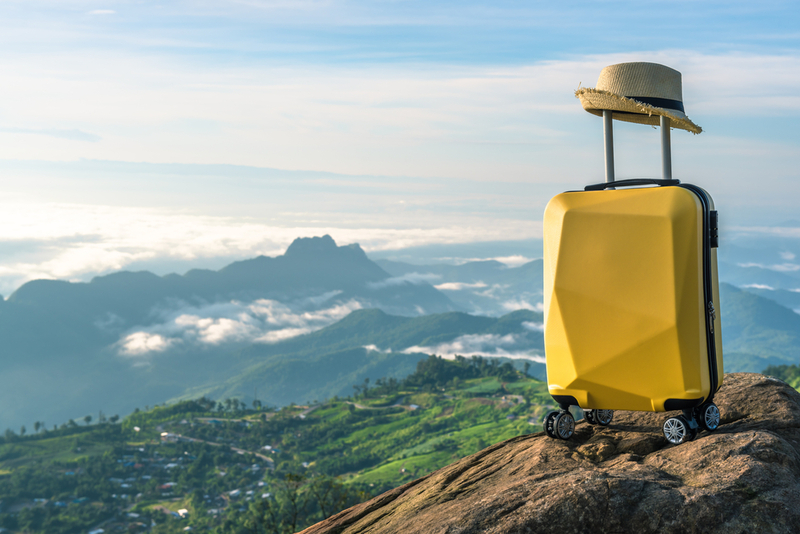 Since weight restrictions are less strict for your night pack, this is the place to stow those heftier items that you might want in the evenings. Include a book, magazine, or journal for quieter times in the evening. Include a laptop for compiling pictures from the day, clearing up memory space on your phone – and charging it up – and maybe spend some time with a favourite program on Netflix or Amazon. Some even bring board games to add some group fun to the evening. Want to glam it up a bit? Some prosecco or gourmet treats always go down well after a full day of burning calories. 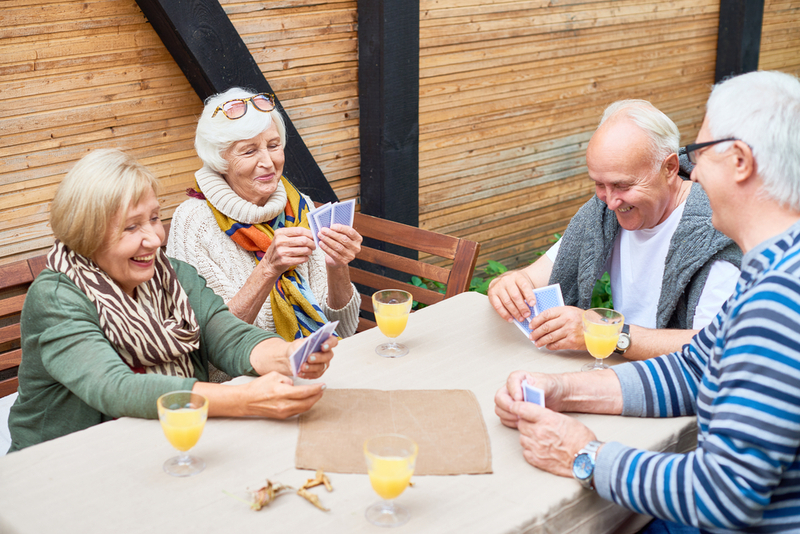 If you’re incorporating your day and night packs for an unsupported walking holiday, condense your solo and group entertainment into a tiny package: a deck of cards can provide entertainment for one or for a small group. Best of all, it’s light and takes up almost no room at all. The fun of a walking holiday doesn’t start with the first step of a boot-clad foot. The planning and selection of your gear can be an engaging activity and can be as simple or challenging as you want to make it. 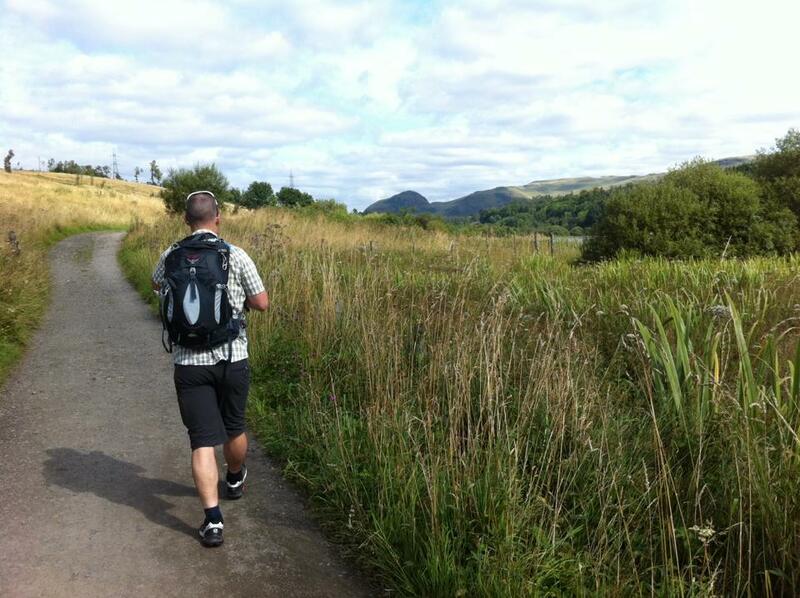 Remember to keep the nature of your walking holiday destination in mind. Pack for your individual needs in that environment, but don’t forget to share items among the group where appropriate. 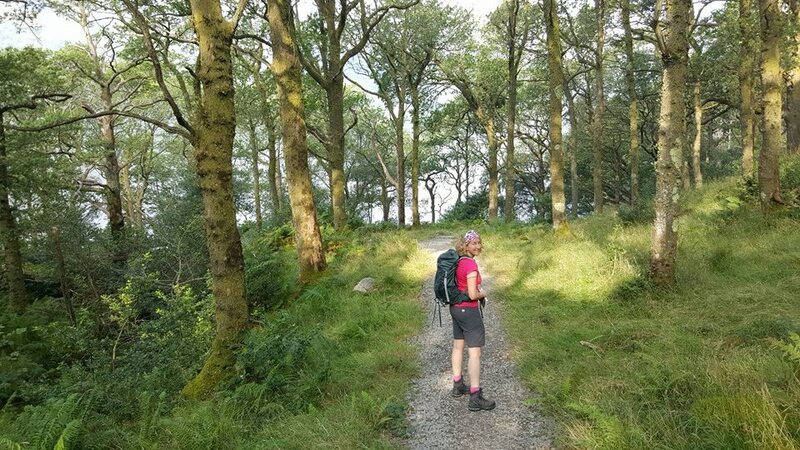 If you’re not using a support service for your night pack, then keep your choices lean and light so all of the necessaries are included – without a crippling weight to carry. If you are using support, then treat yourself to a little luxury at the end of your daily effort. In either case, plan well, pack wisely, and enjoy one of the best holiday experiences out there – confident that you are safe, warm, and prepared for a good time. To speak with us about your next self-guided walking holidays, call +44 (0)17687 72335, email info@mickledore.co.uk or contact us here. Professional, well organised, no waffle, well chosen B&Bs, slick and efficient. We’ve used Mickledore for 5 years now and have always received excellent service.